We build custom trailers to order. top of the range machines in the Farmer brand. We can come to you for an on farm demonstration or you can come to us. On Road Costs: Excluded - additional costs may apply. Crate and tailboard remove easily. Built tough to take a pounding. 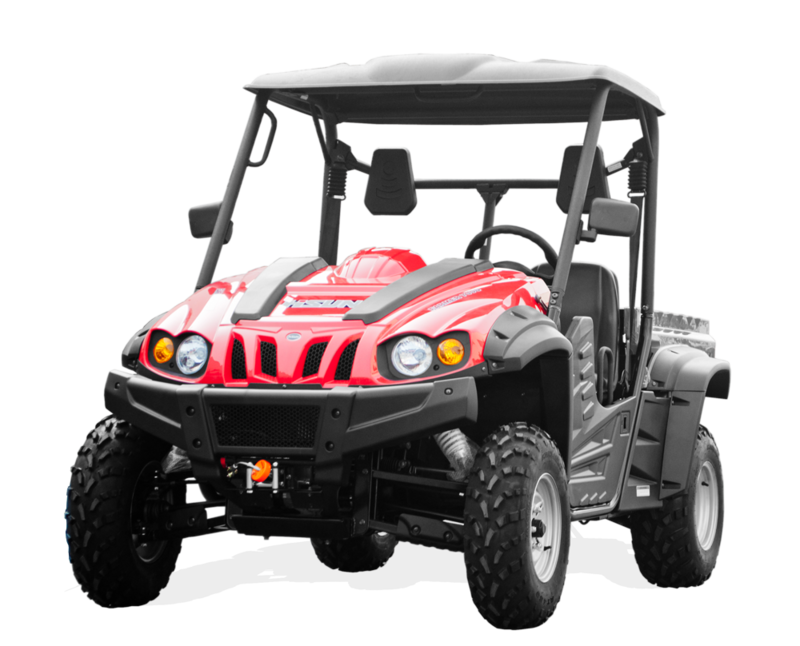 Only $7,495 plus GST ex works (Putaruru)(Delivery and build up costs may apply). 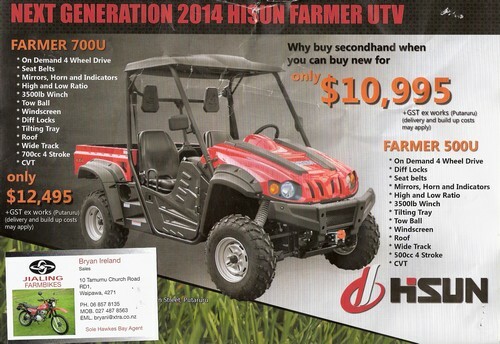 Only $10,995 plus GST ex works (Putaruru)(Delivery and build up costs may apply). 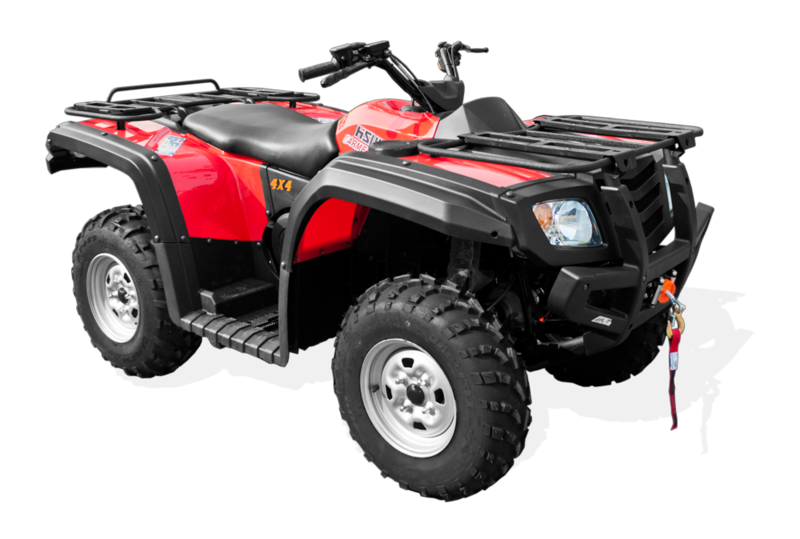 One of the biggest ATV and UTV manufacturesin the world. Hisun has spent NZ $200 million building a brand new state of the art factory. 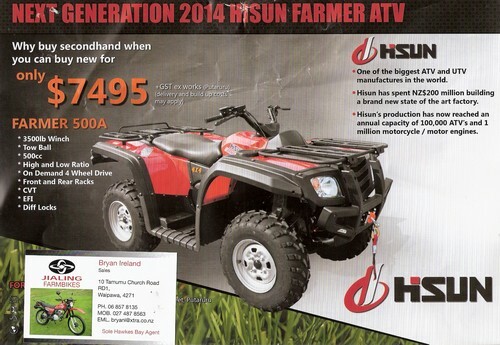 Hisun's production has now reached an annual capacity of 100,000 ATV's and 1 million motorcycle/motor engines. Jialng has a 3000 acre brand new state of the art factory employing more than 10,000 staff.